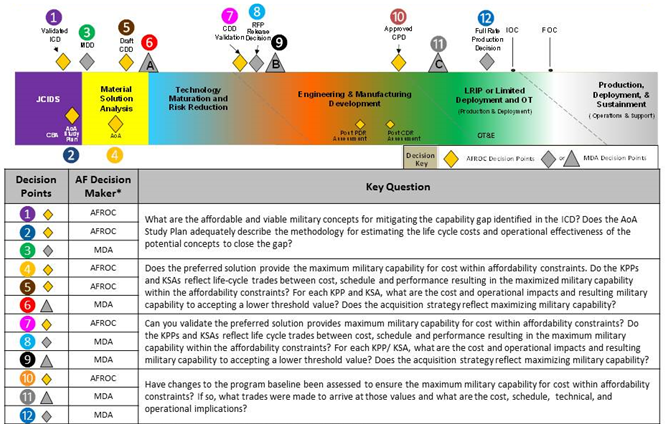 A Cost Capability Analysis (CCA) is an analytical tool used by Program Management to examine cost and military utility. It allows for better understanding and decision making of the effects of requirements on cost and capability. The purpose of a CCA is to support delivery of cost-effective solutions through deliberate trade-off analysis between operational capability and affordability. The CCA process emphasizes capability and affordability discussions. 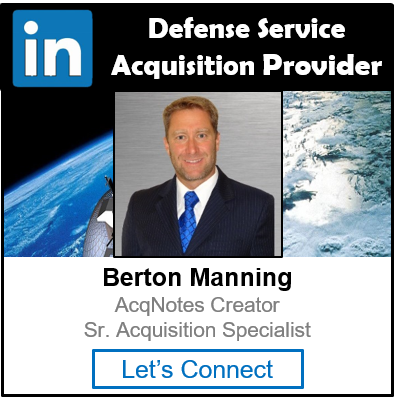 A CCA is required to support 12 distinct requirements and acquisition decision points, to include the Initial Capabilities Document (ICD), Materiel Development Decision (MDD), Analysis of Alternatives (AoA), and at each requirements and acquisition forum through production. See figure below.